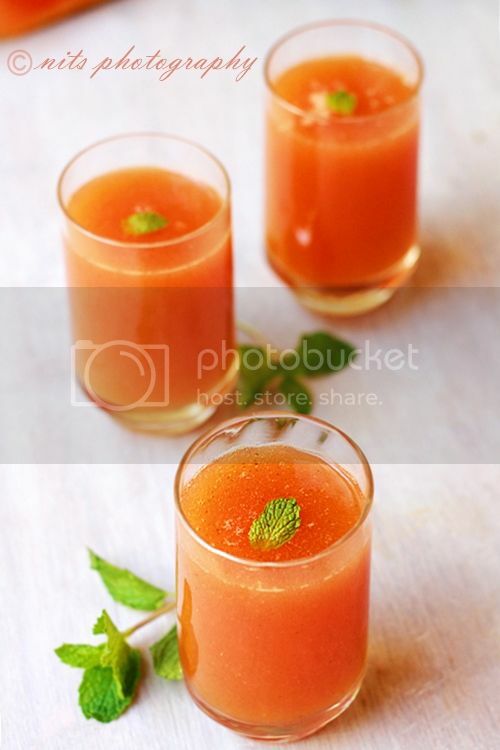 In the summer special series my next juice is Papya fruit magic :) The drink is truly magical with three fruits involved and a hint of mint as well !! 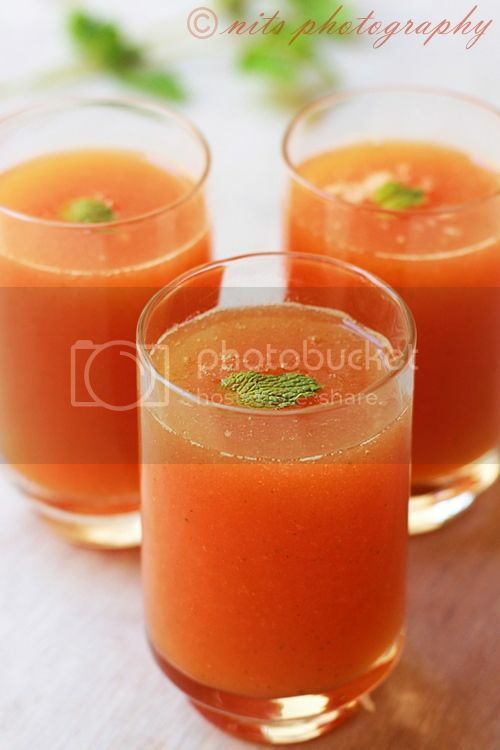 Grind papaya, mint leaves, pomegranate and banana in the blender and grind into smooth paste. Now add adequate water and sugar and pulse again. Filter with a sieve and add ice cubes. 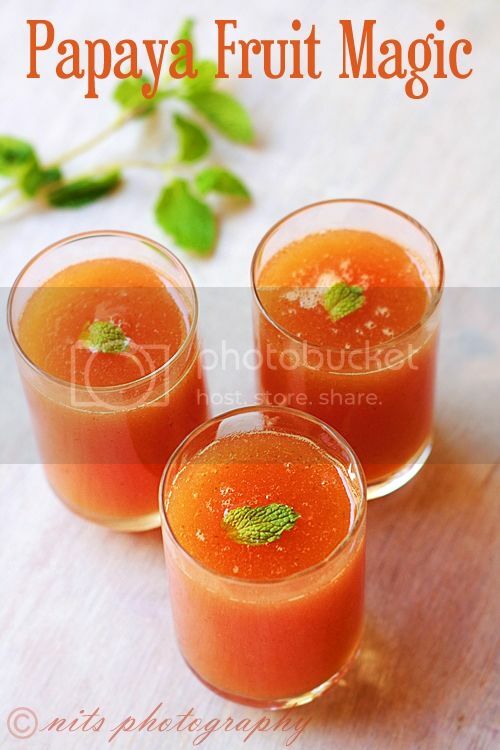 Serve chill with few mint leaves topping. 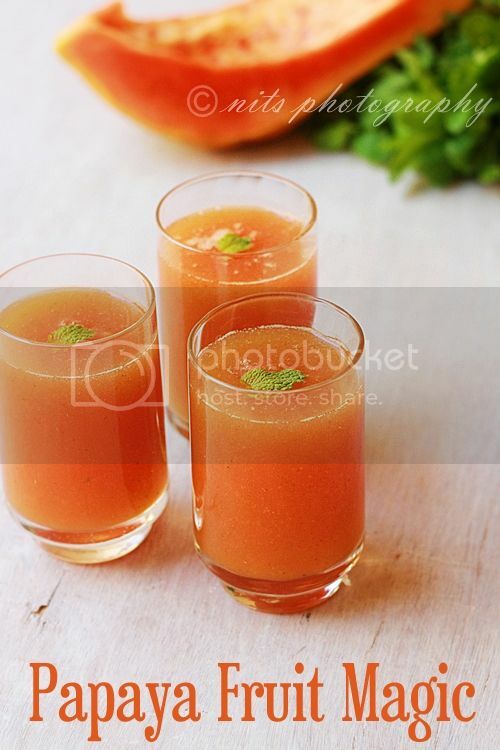 Beautiful drink, prefect summer treat. Super refreshing. Very inviting colors. Wow this sounds quite interesting...love the color and look of the drink....very refreshing! !